To report abuse call your local sheriff's office. 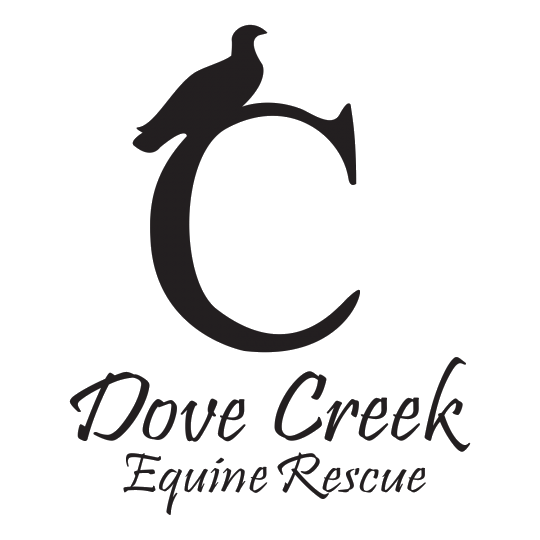 As a rescue organization, Dove Creek Equine Rescue does not have legal authority to confiscate anyone’s horses or visit private property to assess a horse. However, we are eager and available to assist Animal Control officers should they need to remove a horse from someone’s property. A horse in poor condition may look emaciated with protruding ribs and hip bones. Its hooves may be overgrown causing mobility issues, or there may be no place for the horse to get relief from the sun, wind, rain, and snow. In the state of Texas, horse owners are required to provide their animals with sufficient food, water, hoof care, and shelter; this can be in the form of trees or other natural protection (not necessarily a man-made enclosure). If you see a horse in poor condition, especially if you notice that it has been in declining health over time, the best course of action is to call Animal Control or the Sheriff’s Department of the county in which the horse is living. Give the authorities the exact street address and a brief description of what you saw – pay special attention to details regarding body and hoof condition. Stay on track and state the facts; working emotion into your explanation can hurt your cause. Never confront the horse owner directly and only take photos if you can do so from a safe distance.